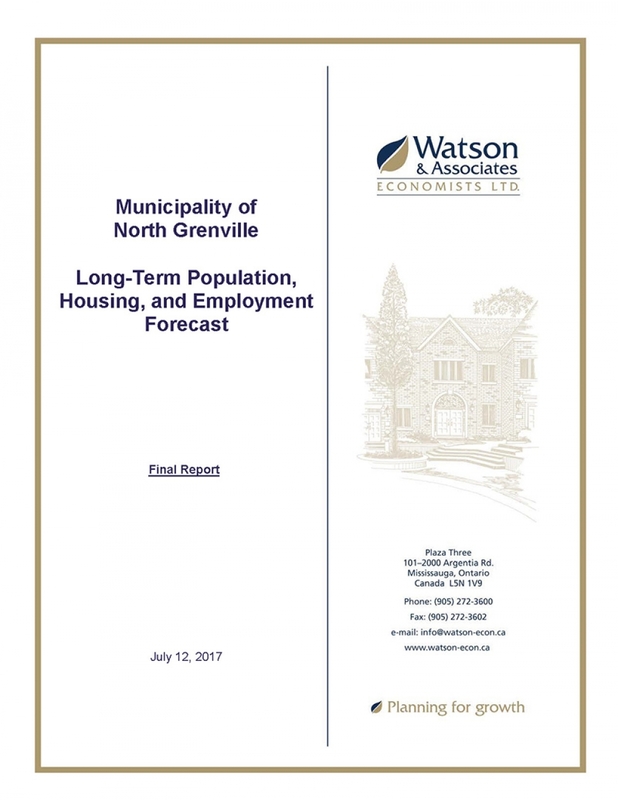 Phil Gerrard, Director of Planning & Development, presented the Long-Term Population, Housing & Employment Forecast final report at the July 24 Council meeting. 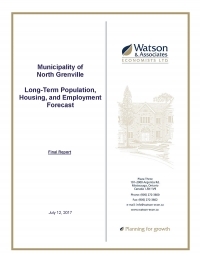 The report was prepared by Watson & Associates Economists Ltd. and will be used as part of the Municipality's Official Plan review exercise as well as serving as a basis for a variety of other projects and plans going forward. A complete copy of the report is available here. For more information, please contact Phil Gerrard at or 613-258-9569 ext. 129.